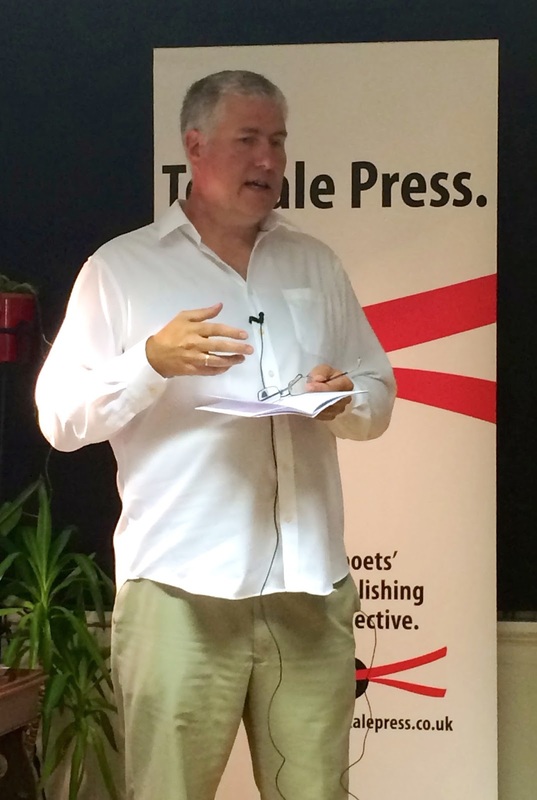 Just a swifty… Last night was The Telltale Press launch for Robin Houghton’s The Great Vowel Shift and my The Nightwork. 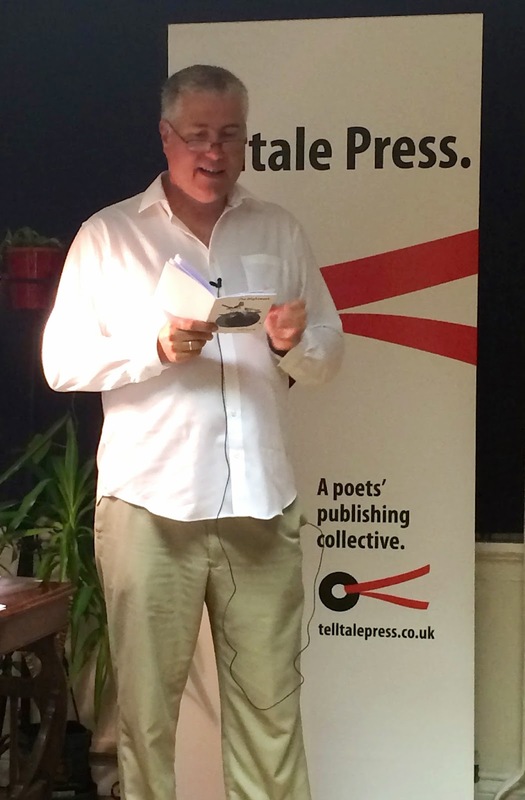 I felt lucky to be reading from my new pamphlet in the company of the excellent Catherine Smith and Robin Houghton with a attentive and supportive audience in Lewes, which is a town full of writers. I can’t wait now for the next Telltale reading on Wednesday 24th September, at Cameron Contemporary Art, Victoria Grove, Second Avenue BN3 2LJ at 7:30. This time Catherine Smith, Robin Houghton and I are joined by John McCullough. Should be another great night – it is a guest-only beano so email publish@telltalepress.co.uk if you’d like to come along. My wife Lorraine took these snaps of me mid-flow…. and good to know that they conform to the norm for such photos, i.e. a bloke with his mouth open. This entry was posted in Telltale Press, The Nightwork and tagged Catherine Smith, Lewes, Robin Houghton, Telltale Press, the nightwork. Bookmark the permalink. In haste … I thought I owed it to you to offer an update on the big launch on Wednesday night, but as it happen, Peter has already written one, so here it is! More from me shortly. I have to go and practice being a mouse.